Chemists have taken an important step in making artificial life forms from scratch, creating self-assembling cell membranes, the structural envelopes that contain and support the reactions required for life and make a living organism from non-living molecules. Although Dr. Craig Venter recently announced the creation of the “first synthetic living cell,” only its genome was artificial. The rest was a hijacked bacterial cell. Fully artificial life will require the union of both an information-carrying genome and a three-dimensional structure to house it. 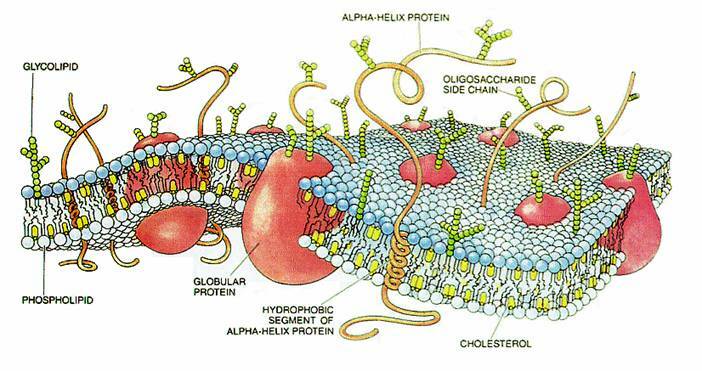 Molecules that make up cell membranes have heads that mix easily with water and tails that repel it. In water, they form a double layer with heads out and tails in, a barrier that sequesters the contents of the cell. The chemists created similar molecules with a novel reaction that joins two chains of lipids. Nature uses complex enzymes that are themselves embedded in membranes to accomplish this, making it hard to understand how the very first membranes came to be. They created the synthetic membranes from a watery emulsion of an oil and a detergent. Alone it’s stable. Add copper ions and sturdy vesicles and tubules begin to bud off the oil droplets. After 24 hours, the oil droplets are gone, “consumed” by the self-assembling membranes. By assembling an essential component of earthly life with no biological precursors, they hope to illuminate life’s origins.